Photo. Steve Holland. .France v England. Semi-final at the Telstra Stadium, Sydney. 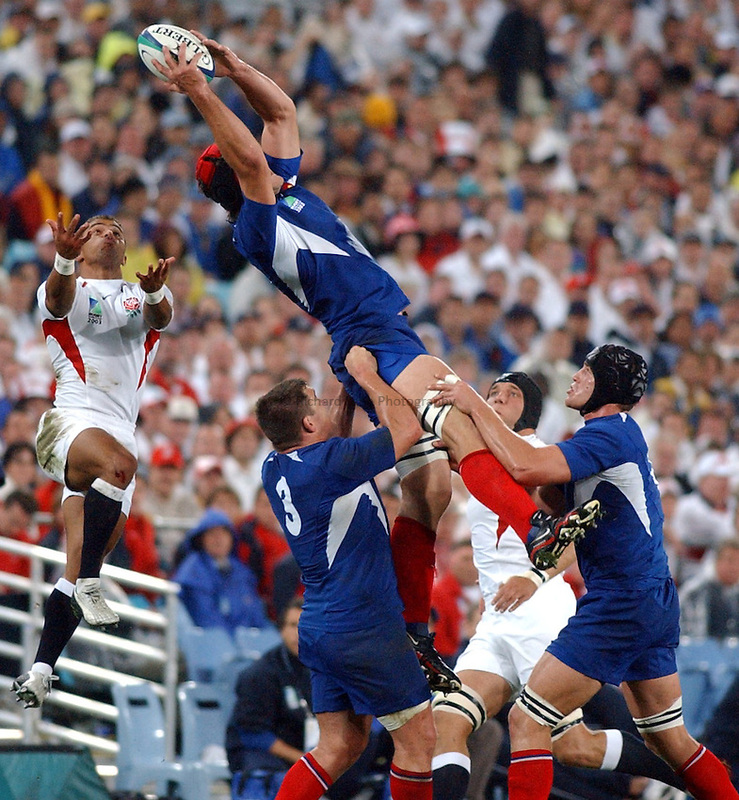 RWC 2003..16/11/2003..Jason Robinson tries to steal the ball.